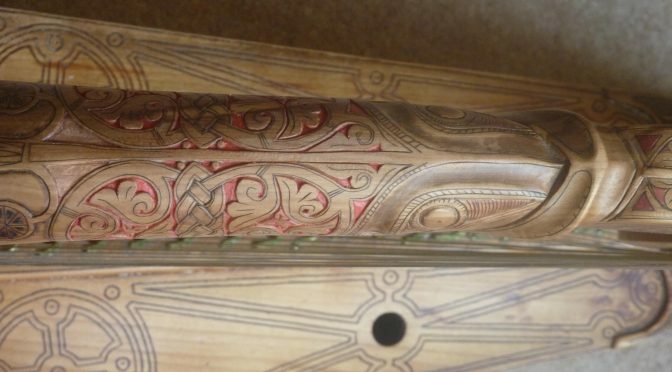 Karen Loomis discovered the presence of mercury in the red pigment on the Queen Mary harp, when she did X-ray fluorescence analysis in 2010. This pretty much confirms that the pigment is vermilion, a mercury sulphide compound. Karen reported that only the pigment on the curved body of the fish on the forepillar indicated mercury; the pigment on the flat panels of the forepillar contained no mercury. A rendering of the CT-scan data printed in her Galpin Society Journal article (vol LXV, 2012, p.166) shows high-density spots in the crevaces between the interlace of the fish shoulders, and also around the fish eye. 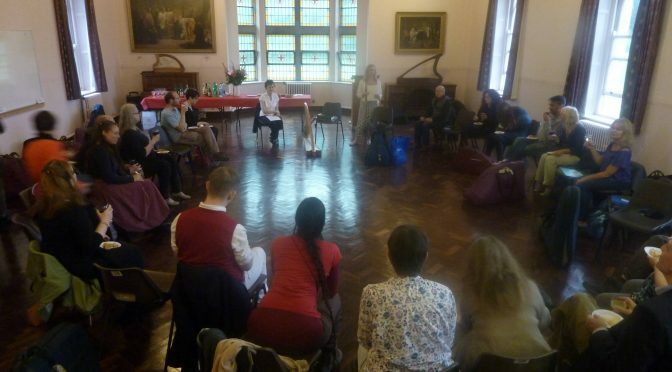 At Scoil na gCláirseach last month I presented a lecture and a workshop on the medieval Gaelic harp traditions. 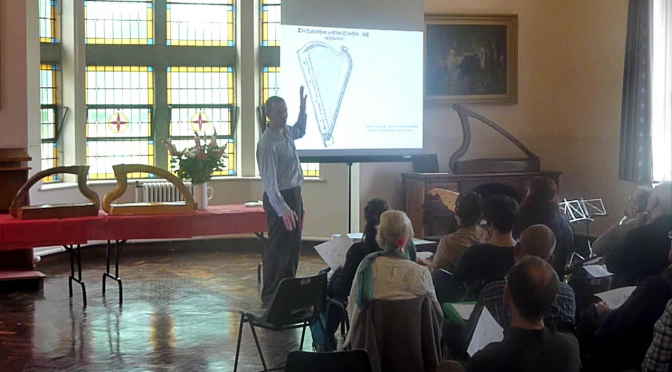 The lecture outlined my recent work on the setup and tuning of the medieval Gaelic harps, while the workshop later in the week explored the different strands of evidence for medieval Gaelic music.